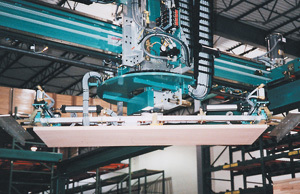 Automated Material Picking Systems for the Woodworking and Related Industries – Creative Automation, Inc. 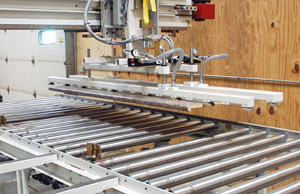 Picking systems by Creative Automation are ideal for mass producing custom orders. 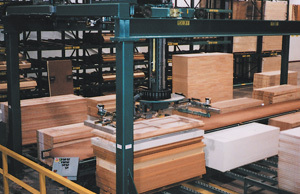 Suited for handling countertops, doors, laminated panels, building materials, etc., these systems can distribute to multiple lines. 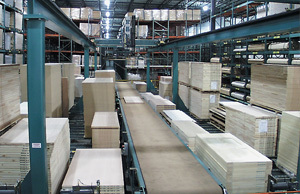 Countertop pick and place system being tested in our facility. 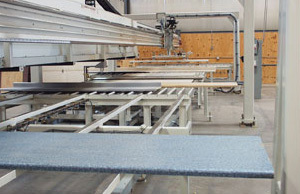 Countertops are taken from the main production line and distributed to multiple finishing lines. Tops are queued if necessary. Countertop pick and place carriage closeup.